In fact little do people know that installing an antivirus does not always clean viruses or prevent them from infecting their computers, sometimes it can even be the opposite: they can expose you to more risks and threats. Think about it this way: if it rains lightly outside, you put your raincoat on and you’re safe, but if a storm suddenly starts, your raincoat becomes useless. This is how antivirus software is. The security of a system is achieved by thorough hardening of various components while the AV is just one piece of this process. But imagine the raincoat has holes in it to begin with. Yes, even antiviruses can have security vulnerabilities that can be exploited to infect your computer, steal your private data or use your machine as a bot in some cyber bank robbery. 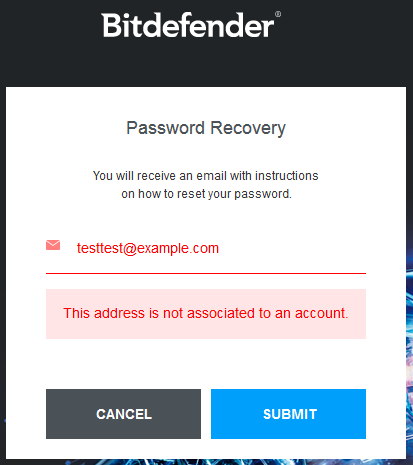 Actually, the reason I wrote this article is because I wanted to share a little story about my experience with a well-known antivirus called BitDefender. I had some free time during the weekend, so I decided to install it to add more security to my fresh OS. I was mainly looking to test the “dual-firewall” feature which allows you to block or allow network connections made by processes in real time. 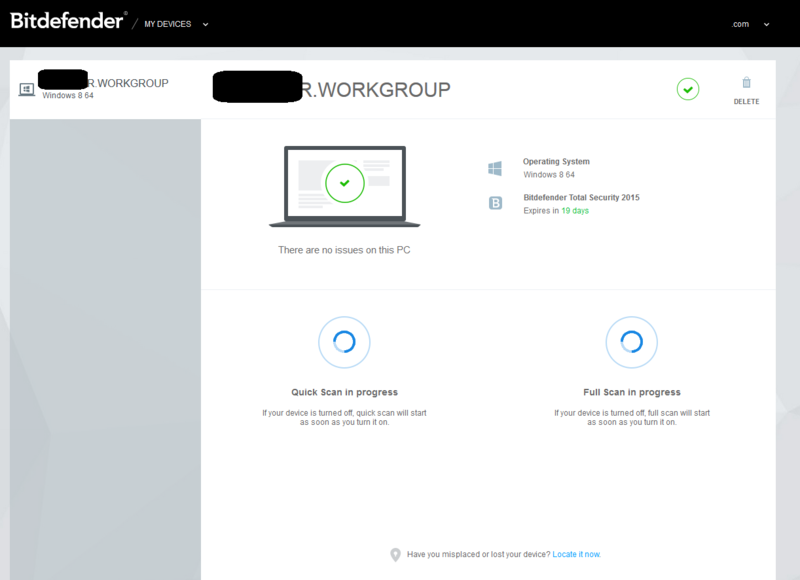 I chose BitDefender because it had good reviews, a proprietary detection engine but also because it is known as one of the best home-use antiviruses on the market. Unfortunately I ended up discovering several security bad practices that made me uninstall the product after ~2 hours. I want to discuss them below so people and companies become aware of these risks and take them into account when assessing any AV solution they wish to purchase. 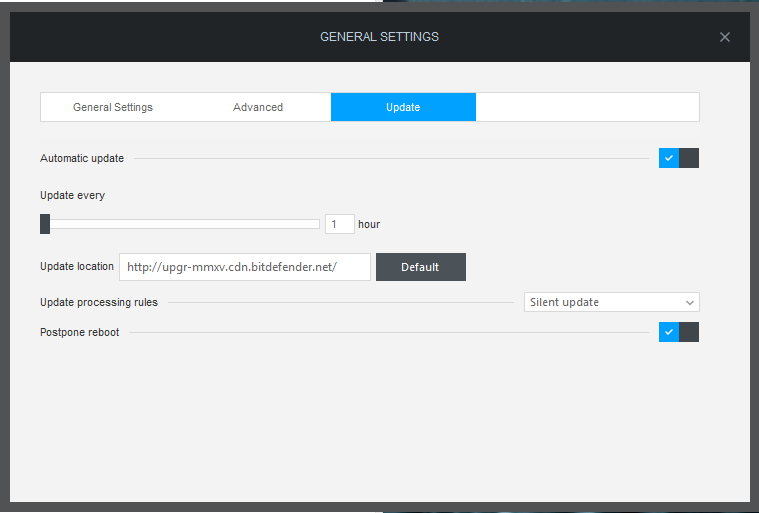 I started poking around the settings to “harden” the antivirus, yes, you need to do that as well :). While going through the settings I noticed issue number (2), apparently updates are downloaded via a plain text connection (which means that hackers sitting in the same network with your computer can perform man in the middle attacks and push tampered signatures as updates to avoid real viruses from being detected or can actually try to fuzz the antivirus to find application vulnerabilities in its updating mechanism). At this point I was a little bit unhappy about the security impression that it gave me, but I continued to analyze its other characteristics. The online dashboard was having some rather complex capabilities: to start with, it was having my computer’s hostname and domain listed, it had remote scanning and reporting capabilities (basically I could scan my computer remotely from that account, given the computer had an internet connection, and see the results in the dashboard), other features were: locate my device, remote lock and system wipe. As an ethical hacker I immediately started to acknowledge the risks: anyone that manages to get access to this online account can potentially lock me out of my computer, wipe my system remotely or find out where my laptop is. Additionally, he could perform remote scans, maybe to impact my system’s performance or verify if a delivered payload is being blocked by the AV or is blocked by an IPS or a firewall. 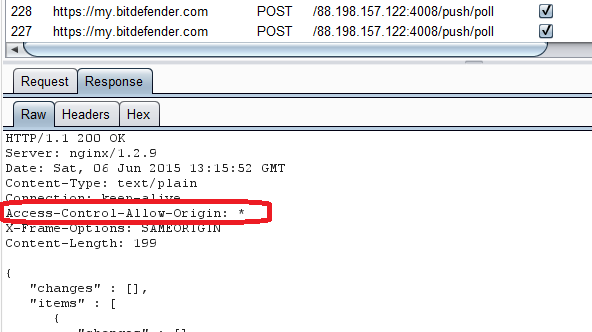 So then I fired up a local proxy to see what type of data was my account sending to BitDefender servers and what type of data was BitDefender receiving from the agent. I also wanted to analyze the authentication security controls to make sure that at a minimum, best practices are followed and I can safely use the software. 5. I tried to “bruteforce” my own account, basically I tried to log in with an invalid password and see what will happen, and noticed the account is only getting blocked for a couple of minutes after few invalid tries then it gets automatically unlocked (didn’t see any captcha anywhere). Don’t you think remote wipe or remote lock would be funny attack vectors when targeting users that decide to link their Facebook account with BitDefender or to set “123456” as their password for the AV account? All these bad practices prove that sometimes even security software that is designed to keep you protected can expose you to more risks. This little story resulted from just 2 hours of analyzing, not testing the security of the product. This shows once more that only by having a holistic security approach in which you perform threat modelling, app testing, security unit testing, code reviews etc. you can build secure products. I like to conclude that AV software should not be perceived as the perfect health pill. Sometimes you take pills to resolve a health issue and you end up having a different one. So the AV is no Zeus to the computer, it is not protecting us from all evil but in fact it can sometimes open doors to a different kind of evil. PS: I only performed passive analysis and did not perform ethical hacking or penetration testing on any of BitDefender’s software. I also did not assess its virus scanning engine. 1. Did you report this to vendor? 2. If yes then what was the response? no we didn’t report it!